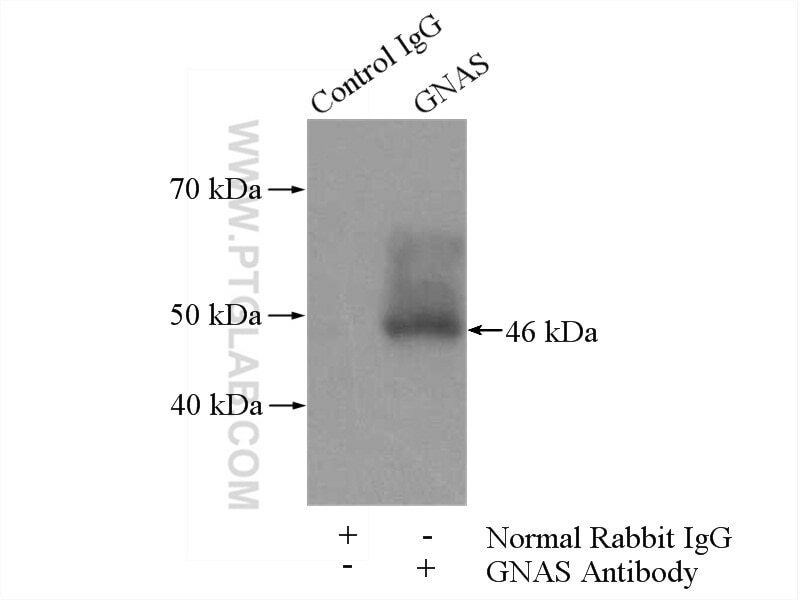 IP Result of anti-GNAS (IP:10150-2-AP, 4ug; Detection:10150-2-AP 1:300) with mouse liver tissue lysate 4000ug. Guanine nucleotide binding protein (G protein), alpha stimulating activity polypeptide 1 (GNAS1) is the ubiquitously expressed heterotrimeric G protein that couples receptors to the effector enzyme adenylyl cyclase and is required for receptor-stimulated intracellular cAMP generation. 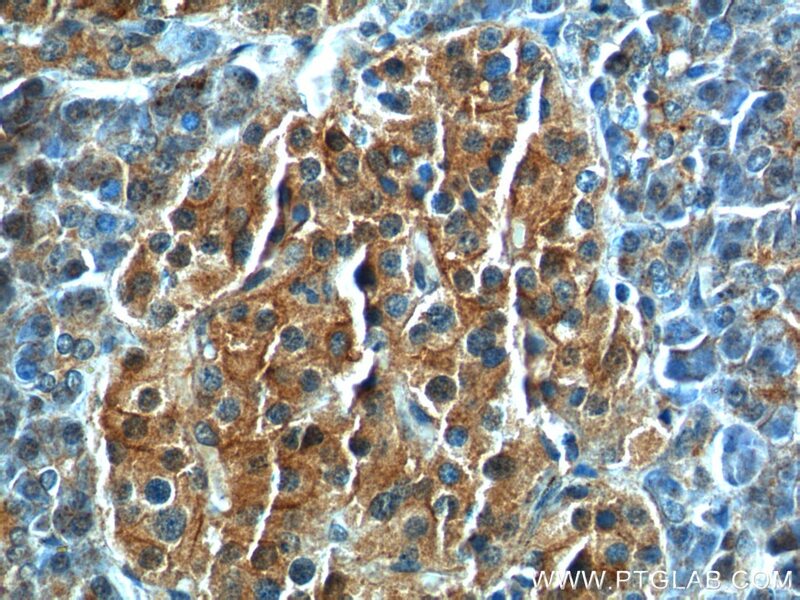 Mutations of Gs(alpha) residues involved in the GTPase reaction that lead to constitutive activation are present in endocrine tumors, fibrous dysplasia of bone, and McCune-Albright syndrome. The molecular weight of Gs(alpha) protein is about 46 kDa. 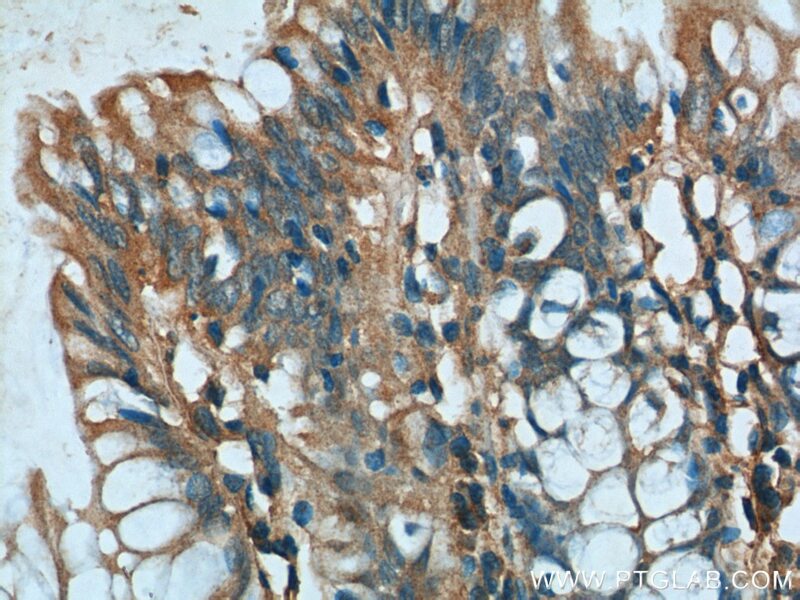 HDAC2 and TXNL1 distinguish aneuploid from diploid colorectal cancers. 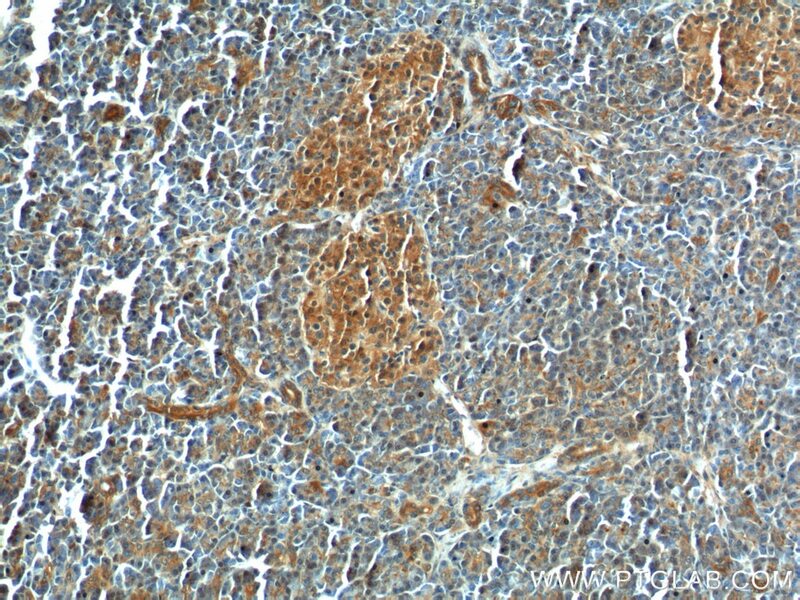 Immunohistochemical analysis of paraffin-embedded human colon tissue slide using 10150-2-AP( NESP55,GNAS Antibody) at dilution of 1:200 (under 10x lens). 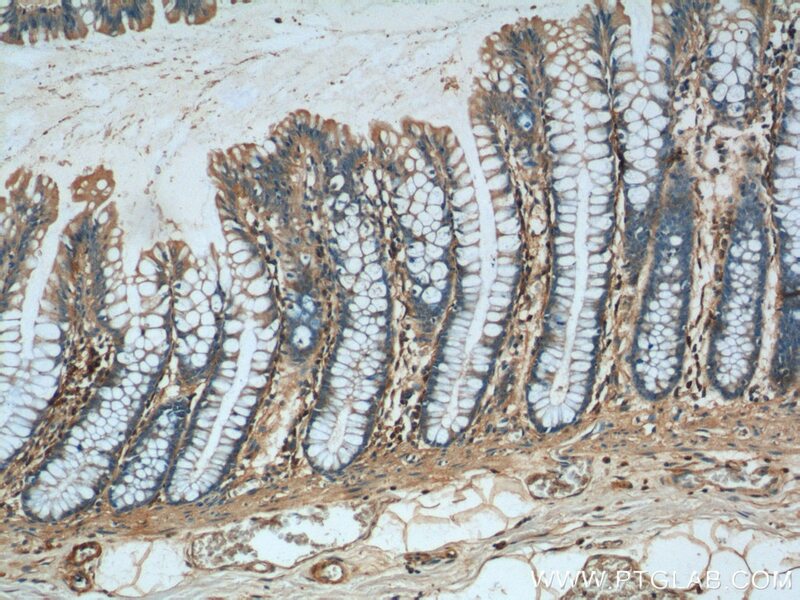 Immunohistochemical analysis of paraffin-embedded human colon tissue slide using 10150-2-AP( NESP55,GNAS Antibody) at dilution of 1:200 (under 40x lens). 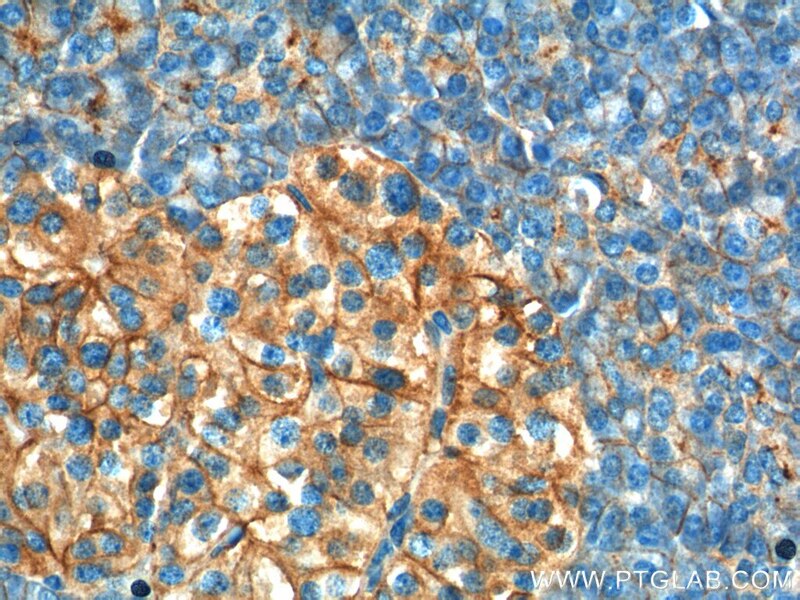 Immunohistochemical analysis of paraffin-embedded human pancreas tissue slide using 10150-2-AP( NESP55,GNAS Antibody) at dilution of 1:200 (under 10x lens). 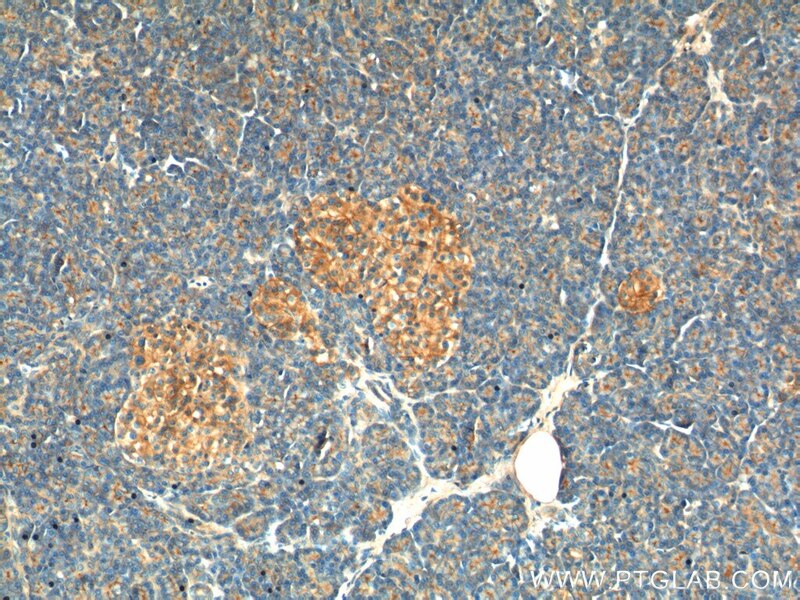 Immunohistochemical analysis of paraffin-embedded human pancreas tissue slide using 10150-2-AP( NESP55,GNAS Antibody) at dilution of 1:200 (under 40x lens).